Many drugs that are in circulation for acne treatment also turn out to be effective against other diseases and conditions. Because both bacteria and inflammation contribute to acne, acne medications typically have antibiotic or anti-inflammatory properties. And their widespread use means that researchers already know plenty about their safety and possible side effects. They just have to match them to other diseases. That's what happened with minocycline. 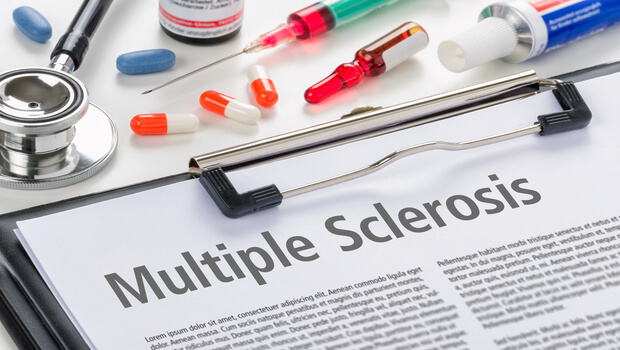 Researchers at the University of Calgary determined that this drug can slow the progression of relapsing-remitting multiple sclerosis (MS) in people who are beginning to develop symptoms of the disease. After six months of treatment, the participants who received 100 mg of minocycline twice a day experienced a 27.6% reduction in their chances of developing full-blown MS. Some even saw their symptoms disappear altogether with the medication. While this is good news for those patients, there are some significant downsides to this treatment option. The first is that it seems to work best if you catch your symptoms early. We don't know as much about whether it will help people whose MS has already progressed. Second, it requires you to be on an antibiotic for an extended period of time — possibly for years. If you've been a reader for long, you know how I feel about that. The havoc this will wreak for your gut bacteria could cause a whole new host of issues. The good news is that you don't have to choose the lesser of two evils. A few years ago, I met an Italian doctor named Dr. Vincenzo Simonetti who is getting tremendous results with MS patients. In fact, disease progression stops in 100% of his patients. And 90% of them experience complete remission – usually within about three months. Dr. Simonetti offers his patients a special form of ozone therapy that he does twice a week until the symptoms disappear. This usually takes about 6-12 weeks. Once the symptoms are gone, he gradually reduces the treatments until the patient gets to the point that they are no longer needed. 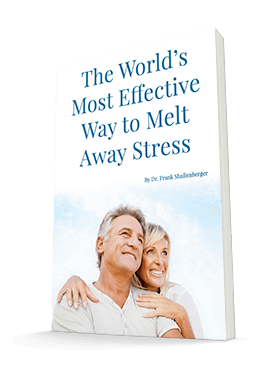 The treatments are natural, easy to do, completely without side effects, and inexpensive. Here's why they work: this method increases the activity of cytochrome c oxidase in the brain. Cytochrome c oxidase is also known as complex five in the electron transfer energy-producing system in the mitochondria of cells. It's essential to the production and maintenance of myelin, and it's activity is significantly low in patients with MS. Myelin is a fatty white substance that surrounds the axon of some nerve cells, forming an electrically insulating layer. The nervous system requires it for proper functioning. But patients with MS cannot produce myelin effectively. Improving the function of cytochrome c oxidase may be what allows these patients to produce myelin and restore neurological function. Dr. Simonetti is also very careful to make sure that patients avoid milk products and gluten, and he detoxifies them all from heavy metals, particularly mercury. Every single element of his protocol is 100% safe. This treatment isn't widely available yet, but we're working to change that. If you have MS, talk to your doctor about Dr. Simonetti and ozone therapy. You can find more information about this remarkable treatment option and find doctors trained in the therapy by visiting aaot.us.